Peter Hoskins has spent the last three years confined to a bed at Cedar Hill Rehabilitation Center. A massive stroke rendered most of his body useless, but his mind is as sharp as ever. When the screaming begins, being trapped in his own head is the least of his concerns.Hungry beasts are roaming the halls, and death might be Peter’s only escape. 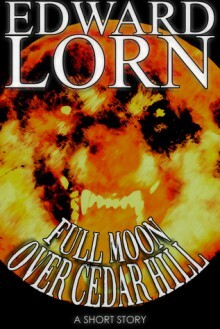 Another short story by Edward Lorn, and although quite enjoyable it isn't my favourite. I could feel the frustration Peter suffers after being put away by his family after he's had a massive stroke, but I guess the monsters were overdoing it a little for me. I would still recommend the story. http://ScarletAingeal.booklikes.com Scarlet's Web 5.0 A must read for horror fans! text A must read for horror fans!